Bitdefender has identified a massive ransomware campaign that is currently unfolding worldwide. Preliminary information shows that the malware sample responsible for the infection is an almost identical clone of the GoldenEye/Petya ransomware family. Unlike most ramsonware, the new GoldenEye variant has two layers of encryption: one that individually encrypts target files on the computer and another one that encrypts NTFS structures. This approach prevents victims computers from being booted up in a live OS environment and retreiving stored information or samples. Just like Petya, GoldenEye encrypts the the entire hard disk drive and denies the user access to the computer. However, unlike Petya, there is no workaround to help victims retrieve the decryption keys from the computer. Additionally, after the encryption process is complete, the ransomware has a specialized routine that forcefully crashes the computer to trigger a reboot that renders the computer unusable until the $300 ransom is paid. Bitdefender blocks the currently known samples of the new GoldenEye variant. 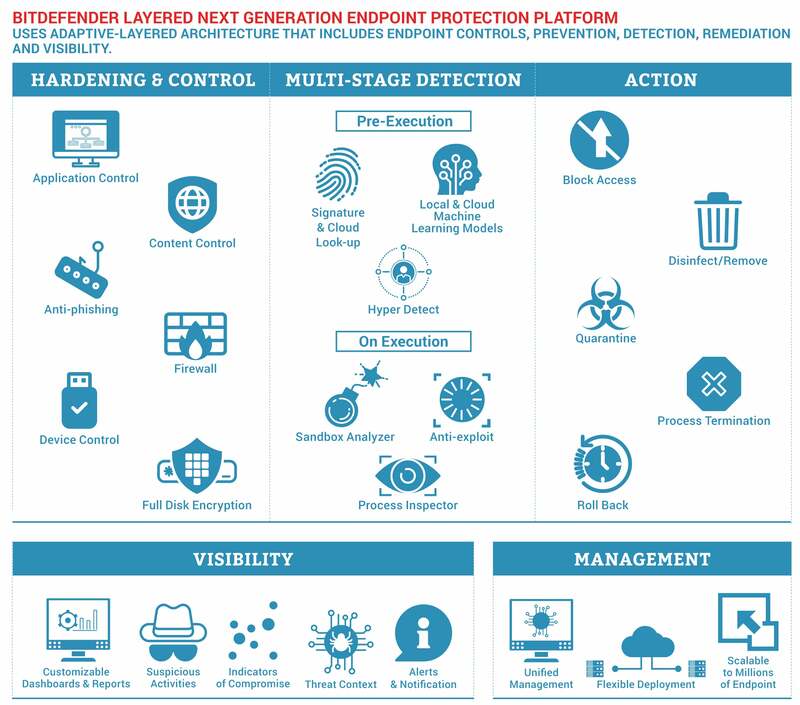 GravityZone provides a layered next-gen architecture that delivers prevention, detection, remediation and visibility in a single modular platform. In addition to machine learning, it also includes Process Inspector, which continuously monitors all running processes and hunts for suspicious activities or anomalous process behaviors commonly associated with ransomware.